An award-winning choreographer and certified RAD instructor, Tonya has been teaching dance on Vancouver Island and in the Fraser Valley for over 20 years. 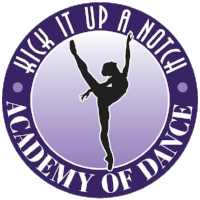 After a number of years teaching at other studios, Tonya followed her dream as she opened her own studio, Kick It Up A Notch Academy of Dance, in Aldergrove, BC. Tonya grew up dancing at Kirkwood Academy in Nanaimo, BC where she trained in ballet, tap, jazz, lyrical jazz, musical theatre and hip hop. She was named the Vancouver Island Representative at the BC Provincials for ten consecutive years and played principal roles in productions such as Annie, the Wiz, the Nutcracker, Copelia, and the Little Mermaid. As her dance career matured, Tonya had the opportunity to be seen by audiences around the world as she was offered feature roles in music videos by Juno-nominated band Sekoya, a supporting role in Center Stage 2: Turn It Up, and named to the top 100 on the TV show, So You Think You Can Dance Canada. Through all this experience, Tonya came to the realization that her true passion is teaching. As a result of instruction with a focus on strong work ethic, dedication, and joy of dance, her students have demonstrated the contagious passion and positive character that Tonya exudes in each and every one of her classes. Vanessa received her formal training from Kirkwood Academy of Dance. During her time at Kirkwood, Vanessa toured internationally with Royal City Youth Ballet to Alaska, Mexico, Disneyland and on Carnival Cruise Lines. Along with these performances, she has also taken part in The Nutcracker, Copellia, Cinderella and various National Dances. Vanessa has attended the Parksville Summer Intensive, Kirkwood (Nanaimo) Summer Intensive, Toronto Dance Theatre Summer Intensive, Ballet Jörgen Summer Intensive, Arts Umbrella/Ballet BC Summer Intensive and Royal City Youth Ballet’s Summer School in order to further her training. She has also worked with choreographers such as: Joe Laughlin of Joe Ink, Desiree Dunbar, Judith Garay, Rob Kitsos, Karen Jamieson, Heather Grey, Heather Dotto, Bengt Jörgen, and Crystal Pite. Vanessa has done Royal Academy of Dance ballet for over 20 years, where she has obtained her Advanced level in the RAD syllabus at the age of 14 and became a registered RAD instructor in 2011. For the past 10 years, Vanessa has taught both ballet, jazz and contemporary dance to all ages. In 2014, Vanessa was one of the youngest RAD teachers to put a candidate through their Solo Seal Award in Canada. Vanessa also obtained her Bachelors of Fine Arts in dance from Simon Fraser University in 2012. At Simon Fraser University she was a part of the Off Centre Dance Company and studied under Judith Garay ( the owner of Dancer’s Dancing) Rob Kitsos, Cheryl Prophet, Marla Eist, Farley Johansson, Megan Walker Straight and many others. Vanessa has a goal to work for her Masters in Dance through the Royal Academy of Dance in London, England. Vanessa joined our team in 2015 and has brought a style that combines strong teaching with fun and creativity to our ballet program. Tara Lenko started dancing at the age of four. Throughout childhood she tried out numerous different sports and athletics but quickly stopped due to teammates concern over her "running on her toes". Tara first took up dance lessons at Tridance Academy where she studied musical theatre, Spanish dance but primarily ballet. Dancing here afforded her many performance opportunities including one before the Spanish Ambassador. Tara later grew up studying at Lavrovas Classical Ballet Academy under the tutelage of Miss Irina Lavrova, primarily in the Vaganova method. She also trained in the RAD syllabus and took exams up to the Intermediate level. Tara was introduced to Miss Tonya in her very late teens when she decided to study the style of jazz and contemporary and became a student of hers. In 2008 she apprenticed for one year under the mentorship of Ms. Deborah Cameron A.R.A.D, owner and director of Cameron Dance Academy. In 2009 she received her Royal Academy of Dance "Certificate in Ballet Teaching Studies". Since 2009 has taught ballet, jazz and lyrical at numerous studios throughout the Lower Mainland, including Kick It Up A Notch. After a year off in which she travelled and took courses in photography, she decided to peruse her interest in sewing and design. 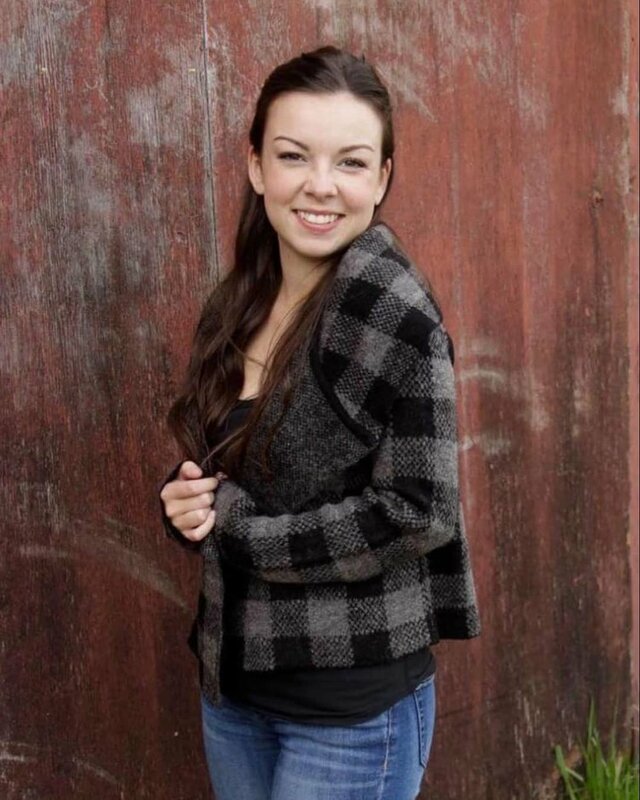 This led her to attending Capilano University's diploma program, "Costuming for Stage and Film" for two years. At the University she got to work extensively with actors, actresses and professionals of the film and theatre industry, designing costumes, creating and constructing and working extensively "on set" or "back stage". Miss Tara's creative choreography and costuming make the year-end performance a moment to remember for all her students. Jenny began dancing at the age of 3 and immediately fell in love with everything about it. She danced competitively for the next 14 years which led her to the opportunity to compete in worlds for tap and provincials for contemporary. Very early in her dance career Jenny studied under Miss Tonya and quickly took to her enthusiastic, humorous hard working class structure. Once she graduated Jenny switched over to teaching and found an even stronger love there. She has taught everything from hip hop, jazz, musical theatre, and tap all the way to ballet, lyrical and contemporary in all ages and both recreational and competitive levels. Over her past four years as a teacher Jenny has received multiple choreography awards for her competitive contemporary pieces, and continues to try to create the most creative story-telling routines. Beyond merely competition, Jenny places great importance in her role as a teacher in fostering not only dance ability and strong technique but also self esteem and positive relationships among friends and teammates in and out of the studio. Dancing and teaching at Kick It Up A Notch for the last 10 years really has made it a second home for Jenny, she is strongly invested in helping children succeed, and grow up to love dance and be confident in their abilities. We are excited to announce that Heather will be joining our faculty for the 2018-19 dance season and beyond! 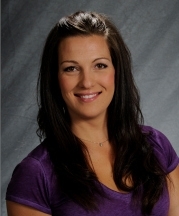 Heather has taught all over the Lower Mainland, specializing in hip hop and contemporary. She is known best for her creative and exciting choreography which has received countless awards. Heather is recognized for her unparalleled ideas, use of costuming and music originality. She has over 18 years of teaching experience, and over 20 years of choreography experience. It is Heather’s belief that every student brings something special and unique to each of her routines. Heather has found the best way to inspire is to find the inspiration in each dancer. Kim started her gymnastic career at the age of four. When she turned nine years old, Kim won the Western Canadian Gymnastics Championships and was subsequently asked to train with the U.S. Olympic Coach. As Kim continued her gymnastic career, she was also training full time in dance (Jazz, Tap, Ballet, Musical Theatre, Song and Dance , and Acrobatics) at the Vi Cameron School of Dance. Kim was a Cast Member of the Surrey Arts Theatre which produced plays such as Finian’s Rainbow and Fiddler on the Roof. Kim has maintained a high level of fitness and a desire for learning to this day. Kim is very passionate about teaching and loves working with every level of dancer who expresses interest in Acrobatics. For the past seventeen years, she has been an Acrobatic Dance Teacher and Choreographer for competitive and recreational levels at both the National and International Levels for Acrobatics. Kim is a very talented coach and choreographer who has led her students towards a successful path and future. Many of her performing groups have won top honours at Local and International Competitions including taking the top spot at the Tacoma Regionals and Hawaii Dance Experience in Waikiki Hawaii. During the 2016 Dance Competition season, Kim led an undefeated Competitive Acrobatics Team to become Provincial Acro Champions. Kim has achieved high honours as a Trainer and Choreographer over the years and continues to do so each year. This includes Choreographer of the Year, Diamond Choreographer, Adjudicator’s Choice and Teacher’s Choice at numerous competitions across the Lower Mainland. Additionally Kim has been recognised and was selected to receive the Arty Award in 2005 for all her contributions to the community of Abbotsford. Some of Kim’s credit in the community of Abbotsford includes choreographing for the B.C. Summer Games in 2004 and 2016 and collaborative credit for the opening ceremonies for the Senior Summer Games. She has also had the opportunity to work with the community of Vancouver with the fortheloveofityouth on Granville Island. Kim continues to share her love of dance and acrobatics with her students of all ages. We are so excited to welcome Kim to our studio for the 2018-19 season and beyond!